With mule deer numbers plummeting all over the West, a new research project in Rock Springs is looking at why elk populations continue to thrive. 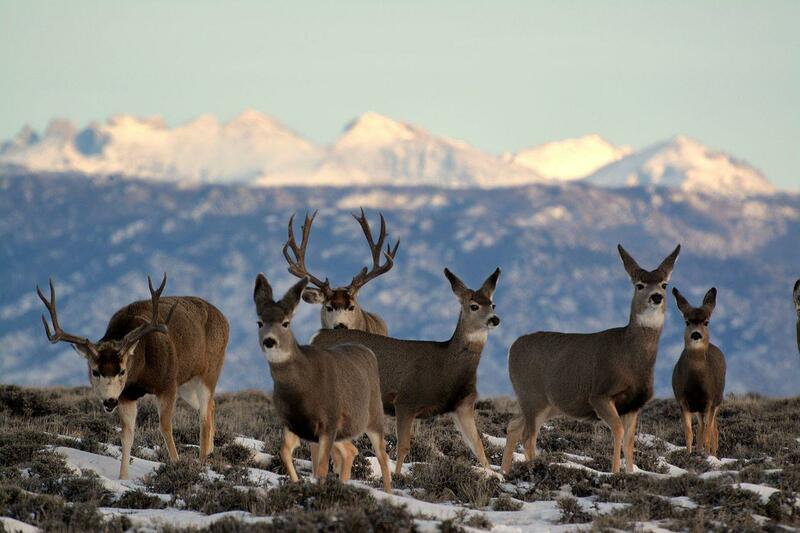 In cooperation with the University of Wyoming and the Wyoming Game and Fish, the Muley Fanatic Foundation plans to put tracking collars on 35 elk and 50 mule deer to compare the diet, predators, disease and other factors of the two species. Muley Fanatic Co-Founder Joshua Coursey, says one reason the two species may be faring so differently is their diets. Coursey says it's not just the Rock Springs herd of mule deer that are in decline, but herds all over the West. He says the Rock Springs mule deer herd makes a great test subject because its long been prized by hunters, even with strict limits on how many can be hunted there. But, he says, there are other reasons too. Coursey says his group needs to raise a total of $1.4 million to pay for the five-year project. He says they've already raised almost $500,000 for their first year. 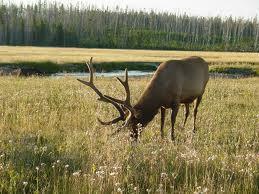 Elk and other wildlife are beginning their spring migrations. Moving to summer ranges can mean crossing roads and highways, which puts wildlife at risk of being struck and killed by vehicles. But research shows that properly designed wildlife crossings can make roads safer for wildlife and for people. 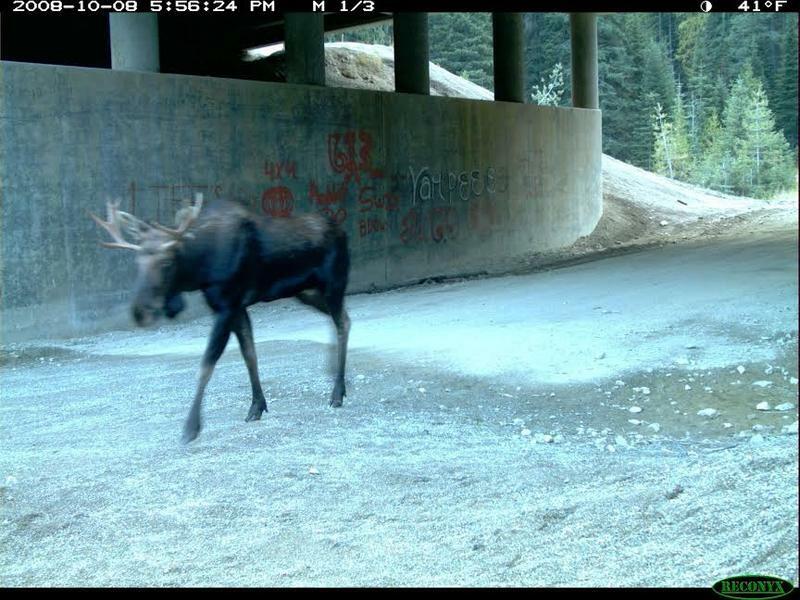 Tony Clevenger has been studying wildlife crossings in the Canadian Rockies for more than 17 years, and he says the data is clear about when building crossings is cost effective. 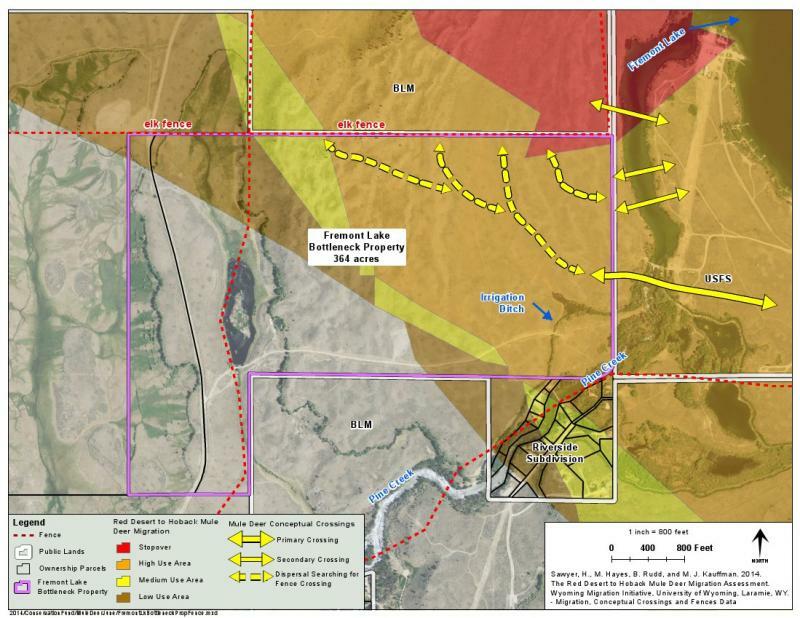 A conservation group hopes to raise $2 million in three months to buy a critical piece of property along Wyoming’s mule deer migration route. At 150 miles, it’s believed to be the longest mule deer migration route in the world. Luke Lynch is with the Conservation Fund, the group raising money to buy the 364 acres, which creates a kind of migration-bridge for the deer to cross between Fremont Lake and the city of Pinedale. As many as 5,000 deer must cross the bottleneck single file there. Lynch says such routes need to be preserved because they’re so rare. 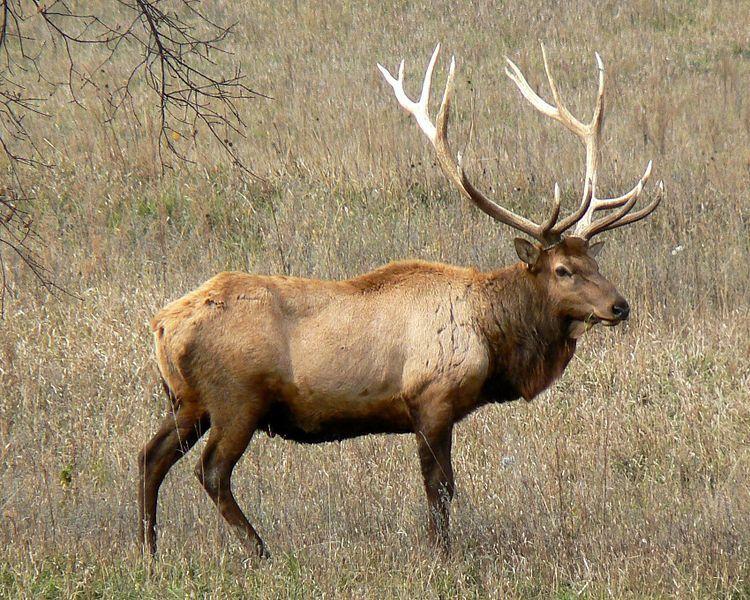 The National Elk Refuge in Jackson has completed their annual classification count. For the second year in a row more than 8,000 wintering elk were counted, well over the refuge’s 5,000 elk goal. That goal comes from the refuge’s 15 year management plan which began in 2007. The plan outlines sustainable elk and bison populations for habitat conservation and disease management in the Jackson area. The refuge has been trying to reduce the animal’s reliance on winter feeding at the refuge. The Jackson elk herd is not wintering in locations that the Wyoming Game and Fish Department say can support such high numbers. While the overall population of 11,000 is healthy, several locations have more elk than they can support. The National Elk Refuge and the Snake River Corridor areas are both bursting at the seams with elk this winter. Game and Fish Spokesman Mark Gocke says two issues are to blame animals are migrating down from better range to the north and they have unusually high birth rates this year. He says hunting could help the problem.